The top photo shows the palm lined drive at Harmony Management's office. The bottom photo is an historical Bradenton, Florida postcard. The scenes look remarkably alike. At a Board meeting after the cutting, the manager said the trees at his office look like "nobody had inhabited the islands for about 30 years". He explained his lack of control over them by commenting that a Country Club shares the drive. This attitude may show why he approved the severe hurricane cutting of Third Bayshore Condo's palm trees. 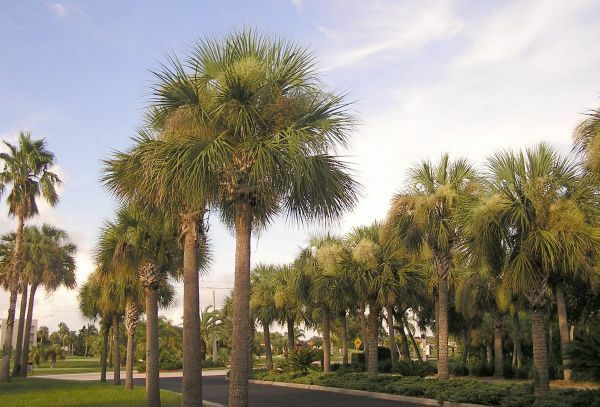 Palm trees line the drive to the management company. 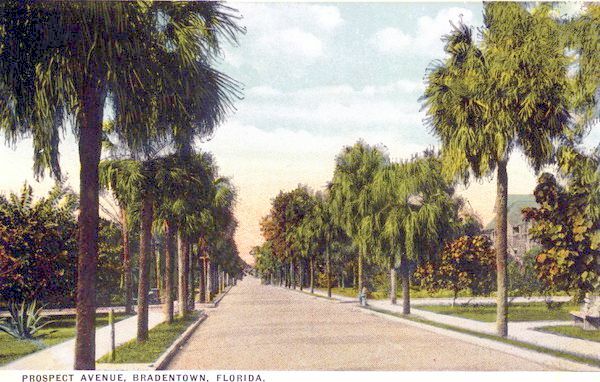 An historical Bradenton, Florida postcard.